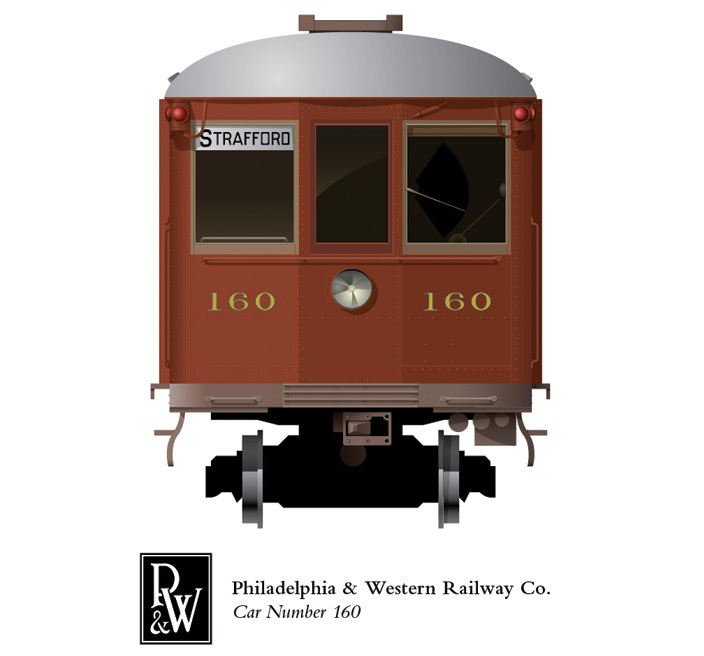 These two drawings depict the same type of rail car, a 1920s Brill "Strafford" car, as it was painted in the 1950s (P&W red) and 1980s (SEPTA white). 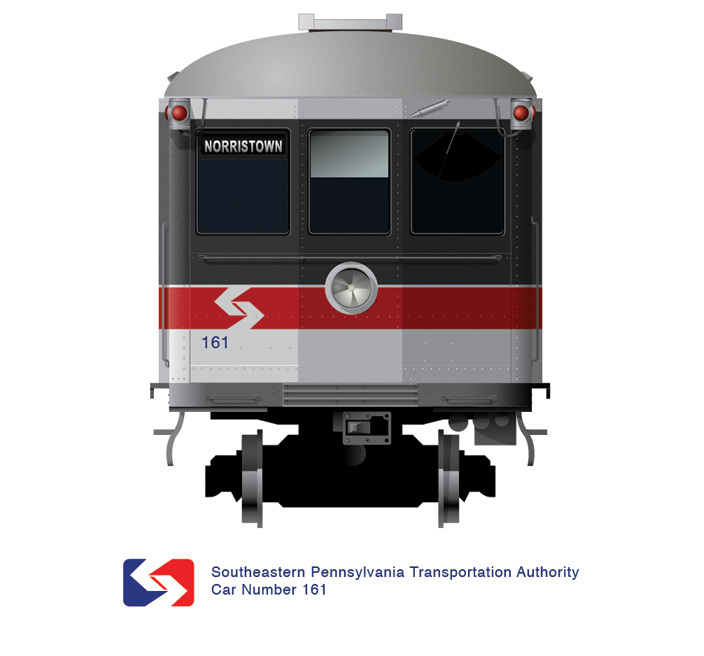 These cars were in service on the Philadelphia & Western for an extraordinary amount of time, ca. 1924 through about 1990, and thus were repainted every time a new transit agency took control of the line.